Making the world a safer place since 1992, AvatarFleet provides professional consultation and the design and development of custom-branded safety and risk management solutions to the transportation industry. AvatarFleet provides a number of professional management tools to facilitate truck driver training and hiring. A new client of ADVAN / Avanaire Design, we’re helping AvatarFleet to the top of the search engines. For an already saturated market, we needed to preform a detailed anaylsis of the competitors top search key phrases as well as how to best get their customers the information they need. During our web redesign, we created new, fresh content as well as an updated look for ease of use. 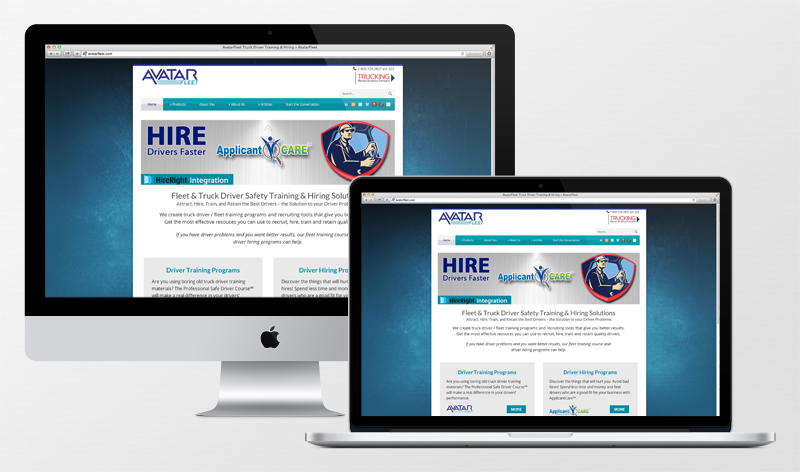 Ongoing SEO will help AvatarFleet stay on top of the search engines and help get their customers the truck driver training and hiring they need! Next post: Safety Wire Lock Wire Specialists | Malin Co.